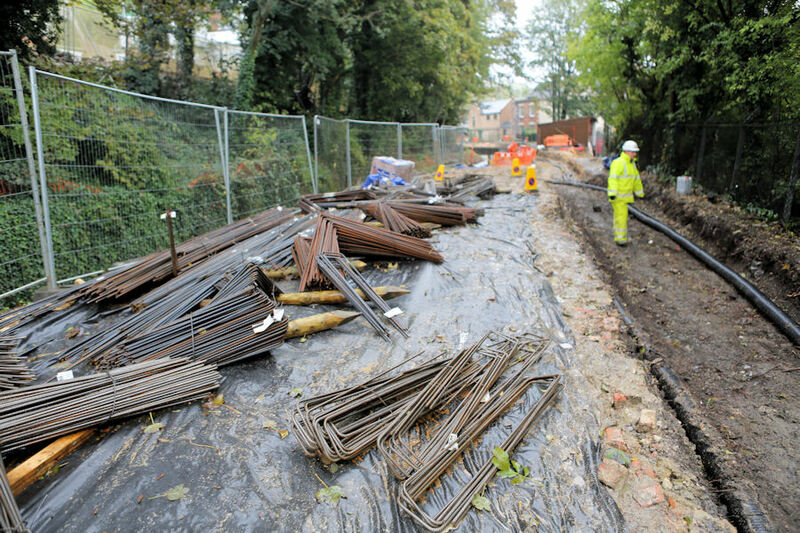 Work at Wallbridge Lower Lock progresses despite the recent inclement weather. Work in the lock approach channel is virtually complete so the rainfall has not held up the fish pass work. The Western Power Distribution team have been on site to realign some high voltage cables in order that this work can continue. This has allowed local company Cotswold Formwork Ltd. (CFL) to begin construction of the formwork to create the concrete channels and chambers of the fish pass tunnel to run beside the lock chamber. CFL are no strangers to the canal restoration project. The company previously carried out the formwork for Stroud Brewery Bridge. ‘Local' is also an appropriate term to use in relation to their current canal contract. The company has a yard adjacent to the Wallbridge Lower Lock. Removal of a small section of their compound fencing has created easy access to the Wallbridge Lower Lock site. The term ‘formwork’ describes the timber and plywood shuttering construction into which steel reinforcing bars are placed before being filled with poured concrete. When the concrete has cured the woodwork will be removed to reveal the housing for the Larinier Fish Pass. Fish stock carried by the River Frome and its adjacent canal includes migratory species such as the brown trout. “The canal restoration project applies due diligence in respect of all environmental and ecological matters. 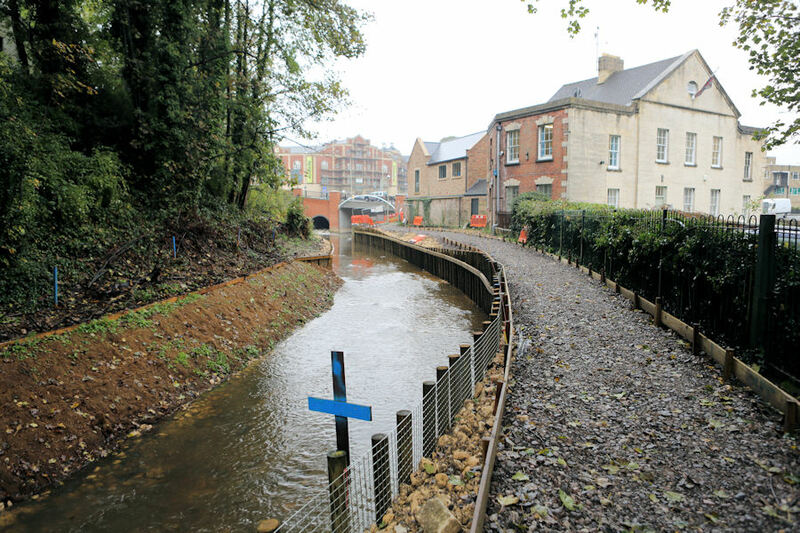 We therefore work closely with the Environment Agency who recommended the installation of the ‘Larinier Fish Pass System’ to facilitate fish migration at the lock." The Larinier Fish Pass carries the name of its developer Michel Larinier of The Institute of Fluid Mechanics in Toulouse, France. The system involves a series of concrete slopes fitted with high density polyethylene baffles and concrete resting pools. The combination allows fish to swim upstream to their spawning grounds. Click here to view Mike Gallagher's Wallbridge Lower Lock Album. Click on the plan drawing extract below to view a larger version showing the configuration of the fish pass tunnel. Click on the Farson icon to view the Wallbridge Lower Lock scene from the webcam.